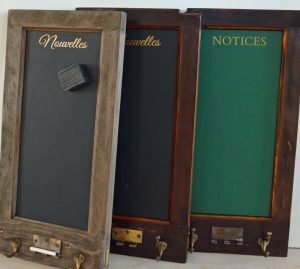 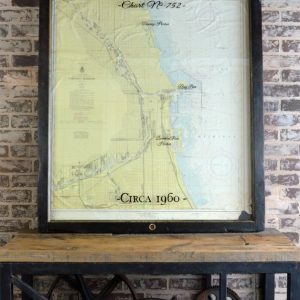 This vertical chalkboard with hooks is made using a section of an old door, reclaimed chalkboard, and vintage hardware. 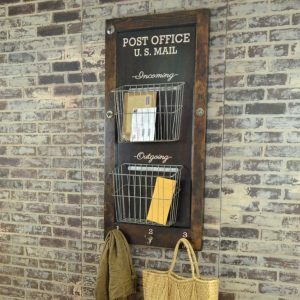 Add function to those narrow wall spaces while boosting style in your office, kitchen, or entryway! 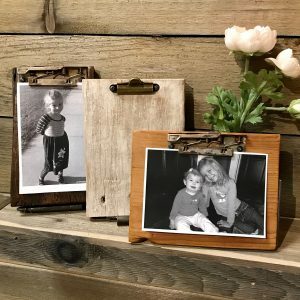 Available in assorted styles and finishes. 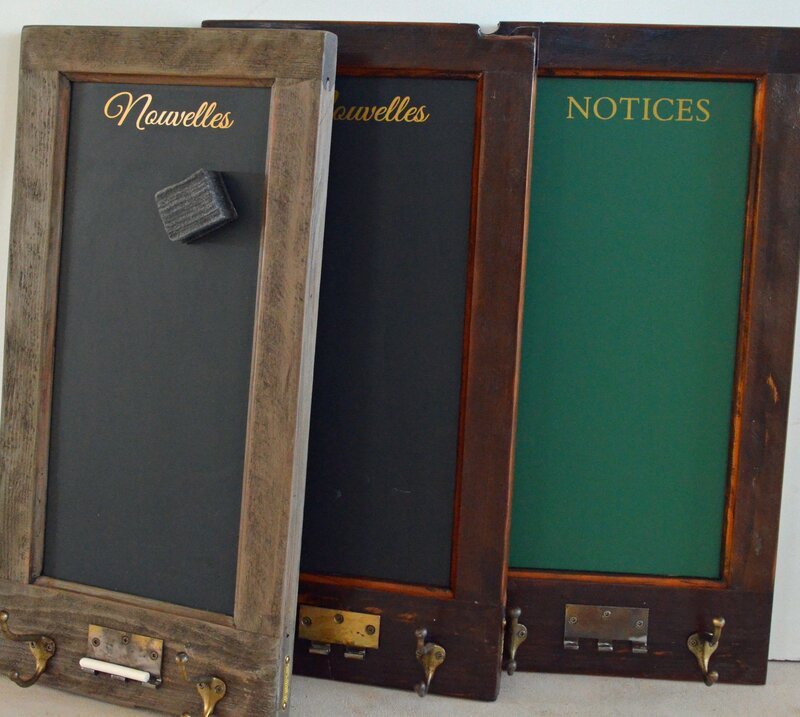 This vertical chalkboard with hooks is made using a section of a reclaimed door. 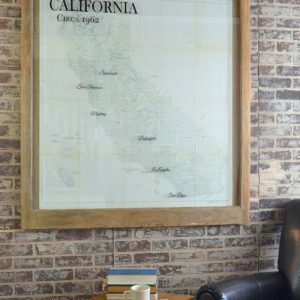 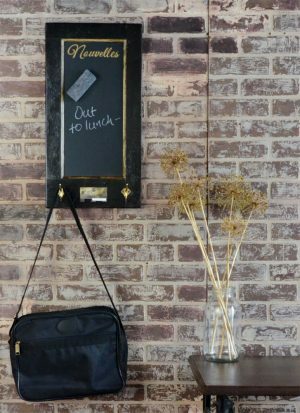 Magnetic chalkboard allows use as a bulletin board, while hooks corral keys or coats. 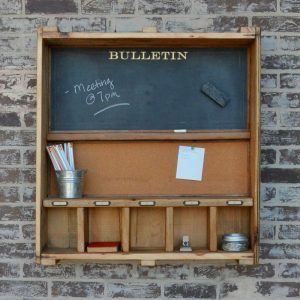 A great way to keep track of family messages, grocery lists, or office notes! 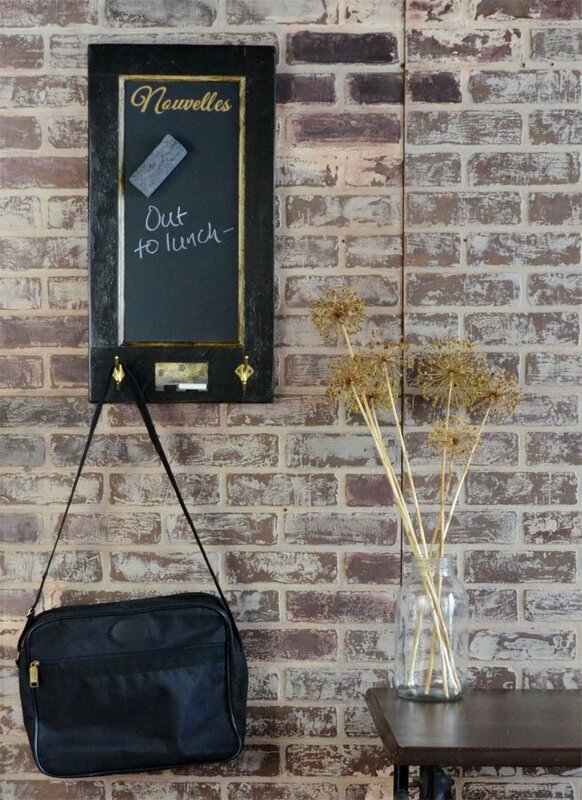 Installation: Hangs with 2 keyhole shaped slots routed into the back side. 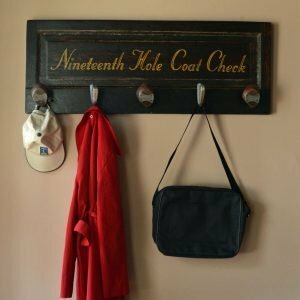 Use appropriate anchors with screws to hang.